Good evening everyone! I don't know how the weather is where you are but let me tell you, it is cold here in Jersey. It is also very, very windy! It sounds like howling dogs! Wow! Today was an excellent day for hot soup! 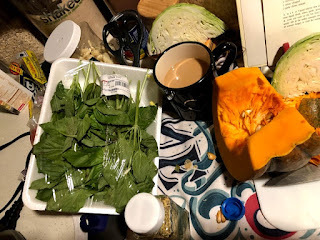 So, being that it is Sunday and I'm back to my cookbook challenge, we are making soup. 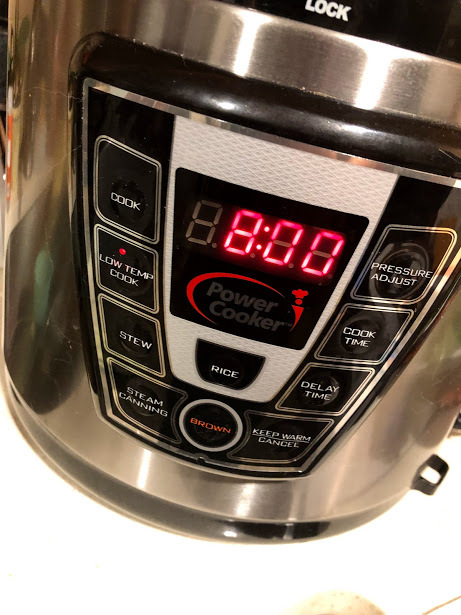 I'm also using the slow cooker setting in my electric pressure cooker today. 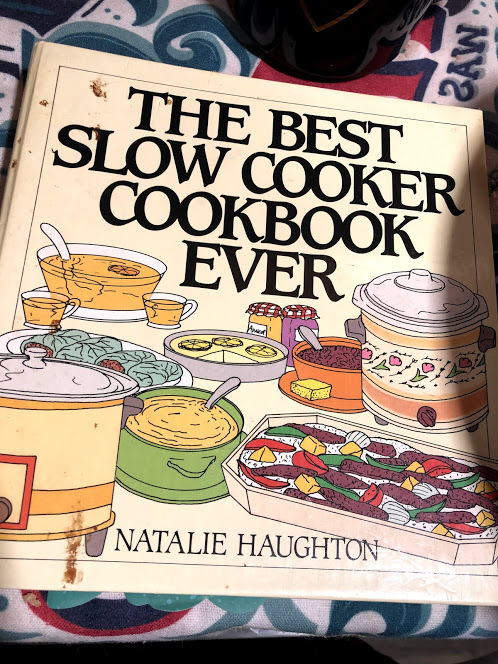 I've had this cookbook for years!! Have I ever tried a recipe, you ask? Nope! Not one in 20 years! 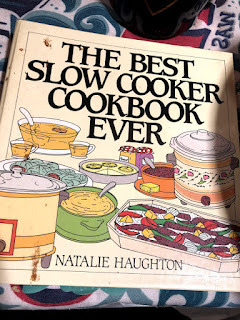 So, today we will try a recipe and make use of this book but also the slow cooker setting on my pressure cooker. 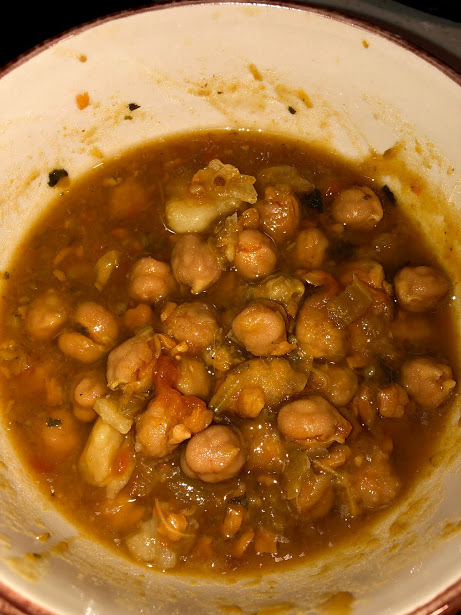 We love garbanzos, but we have only had the Cuban style Garbanzo stew. This one is a bit different. But how different will it be? One thing I love about using the pressure cooker/slow cooker is that I can just throw everything in there, set the time and go live my day! I chopped and threw all the ingredients in. Set it for 8 hours, and went to get ready to go out to the mall. 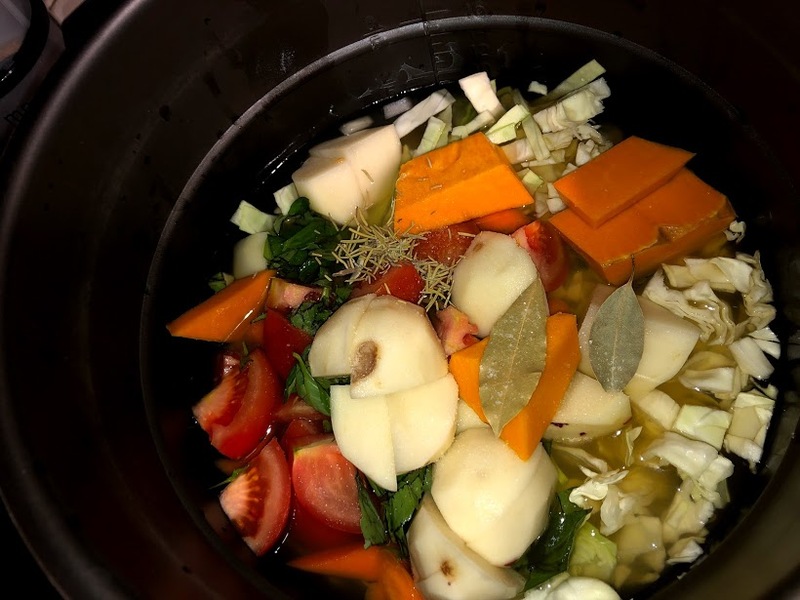 8 hours later, we had some really good smelling soup. Now, how will it taste? I stirred it up and served. Hubby liked it and so did I. 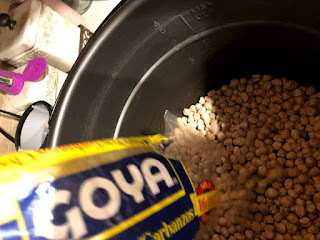 It wasn't our normal Cuban style garbanzo, but it was good. It was also very warming.....the heat in our home may have to be turned down! 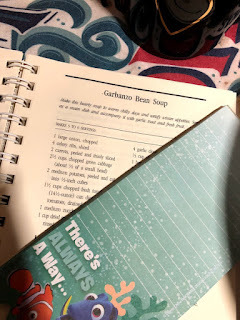 Not sure yet if the entire book is a keeper, but this recipe is. It is great for a really cold day like today.